The Minister in the Presidency together with the Minister of Finance, and National Treasury gave presentations on the 2017 Mandate Paper and the Medium-Term Budget Policy Statement. The Minister in the Presidency explained that the purpose of the Mandate Paper is to function as a shorter-term instrument of national planning, building on the NDP and the MTSF, to refine objectives and approaches given the prevailing socio-economic context and ensuring that resource strategies (budgets) are aligned with the NDP. Such mandating entails taking stock against various criteria. It outline therefore: spells out the priorities and targets of the NDP; summarises the current economic, social and fiscal context for planning and the budget; outlines out the process and criteria for prioritisation, and of reprioritisation for Budget 2018 particularly in the context of fiscal constraints; reviews the priorities in Government spending of Budget 2017; and identifies the key national priorities and mandates for the 2018 Budget. The summary of priorities for 2018/19 were as follows: job creation and small business development; youth development; infrastructure expansion and maintenance; land reform, smallholder farmer and agriculture development; comprehensive social security, education and skills; Integrated plan to fight crime, as well as advancing the national interest in SADC, African Continent, BRICS and Indian Ocean Rim Association. The South African government will in 2017/18 spend approximately R1.5 trillion (about a third of GDP) of which nearly a third is on goods and services. The Budget Mandate process was therefore a very important element of implementing government plans, re-examining focus and previous budget allocations and reprioritisation to ensure socio-economic transformation. National Treasury said tough times require tough decisions, and it was committed to making them. Radical economic transformation was also required to change the economy to include all South Africans. South Africa's budget is progressive and redistributive, and makes large contributions to transformation and growth, yet the pressures on the public finances were mounting, and there are a series of risks that must be managed. This would require difficult trade-offs and compromises. However, government remained committed to a path of fiscal consolidation. It will maintain the expenditure ceiling over the medium term, and a presidential task team will develop proposals to restore fiscal sustainability. The only sustainable solution for South Africa’s development and the health of public finances was to grow the economy inclusively. Also, economic growth was expected to be 0.7% this year (2017), recovering slowly to reach 1.9% by 2020. Inflation outlook had been revised down, and the recovery in growth depends on improved investment outlook and rising exports. On actions to boost confidence, the priority was to: restore the sustainability of fiscal policy; promote transformation and competitive outcomes by implementing sector reforms; manage fiscal and economic risks associated with state-owned companies; and create policy certainty by finalising key legislative and policy processes. 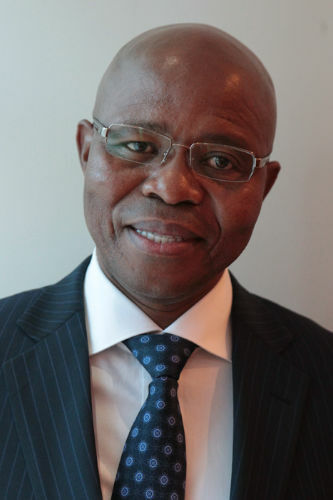 Consistent to these priorities: negotiations on the next public-service wage agreement have commenced; Preferential Procurement Policy Framework Act Regulations took effect on 1 April 2017; South African Airways had been recapitalised, with new board and permanent CEO; Eskom governance interventions were in motion; study on spectrum availability and open access was in process; market inquiry had been launched into broadband data prices; and licensing of Postbank was under way. The Minister of Finance said that the MTBPS gave a frank overview on the economic and fiscal outlook in order to ensure that the nation is aware of the challenges that had to be dealt with. Treasury was not moving away from the fiscal consolidation path as economic growth had dampened and there was need for decisive action. The reasons behind the gloomy outlook had to be spelt out clearly and the MTBPS presentation’s main message was that times were tough but the nation had to be tougher than them. Treasury had the unenviable task of delivering the sombre and candid message on the state of the economy and it did just that. Revenue shortfalls owed to the underperformance of the economy, to a larger extent. Consequently, a stimulus package was being proposed and would be published in due course. There was ongoing work on curbing illicit financial flows by relevant stakeholders and the big task was to ensure law enforcement agents play their part. Also, Treasury was having engagements with the ratings agencies as well as investors rather than only waiting on them to assess the situation on the basis of the MTBPS. Members commented that plans espoused in the Mandate Paper were good and had been availed for many years. However, the challenge was lack of implementation. More importantly, lack of consequences for non-compliance was worrisome. Parliament needed names of people who have been failing repeatedly as addressing obtaining challenges collectively was paramount. The ANC welcomed the Minister’s candidness during the MTBPS presentation and the stance taken on SOEs. It should no longer be business as usual. Members appealed for full implementation of all the plans and emphasised the need to clear the air on various issues as a means of restoring confidence. They pointed out that planning must come first before budgeting and the Mandate Paper framework was long overdue. The majority were impressed by the thinking behind coming up with the Mandate Paper and emphasised the need for Parliament to also exercise its oversight role effectively. The Democratic Alliance wanted to know if the under-collection of tax could be ascribed to a "wholesale underperformance" by South African Revenue Service Commissioner and what the Minister doing about this. It was noted that this was the first tranche of a series of engagements. The Director-General was requested to answer outstanding questions at the next appearance due to time constraints. Mr Carrim welcomed everyone and commented that the economic outlook was somewhat bleak. He invited the Minister in the Presidency to be the first to make his presentation to the joint committees. Mr Jeff Radebe, Minister in the Presidency, took the Committees through a presentation on the 2017 Mandate Paper. In 2016, Cabinet identified the need to strengthen the alignment of the South African Budget, the Medium-Term Strategic Framework (MTSF) and the National Development Plan (NDP), and for budget prioritisation to focus on the last 24 months of the current administration. The Department of Planning, Monitoring and Evaluation (DPME) and the National Treasury (NT) were instructed to develop a Mandate Paper to guide the budget process for 2018, to ensure a focused implementation of Government’s plans. The Mandate Paper’s objective was to establish the strategic framework for decision-making on budget priorities that are required to advance the goals of the NDP. It sought to establish a systematic basis for making strategic choices among competing priorities and limited resources, in order to better optimise the budget as a key lever for driving the NDP. The Mandate Paper further sets out a broad set of prioritisation criteria which should guide the consideration of budget proposals for 2018/2019. It does not indicate specific funding allocations, which is part of the budget process led by National Treasury, but makes recommendations on the priorities which will focus the Budget on the achievement of the goals of the NDP. The Mandate Paper further sets out a broad set of prioritisation criteria which should guide the consideration of budget proposals for 2018/2019. It does not indicate specific funding allocations, which was part of the budget process led by National Treasury, but makes recommendations on the priorities which will focus the Budget on the achievement of the goals of the NDP. It seeks to reinforce initiatives that have the greatest growth and transformative impact in terms of the NDP goals and targets and that must be prioritised in the budget and in decision-making. In this regard, the Mandate Paper is firmly focused on the outcomes spelt out in the NDP and the MTSF, of a decent life for all South Africans, the eradication of poverty and the reduction of unemployment and inequality. The purpose of the Mandate Paper is to function as a shorter-term instrument of national planning, building on the NDP and the MTSF, to refine objectives and approaches given the prevailing socio-economic context and ensuring that resource strategies (budgets) are aligned with the NDP. Such mandating entails taking stock against various criteria. It spells out the priorities and targets of the NDP; summarises the current economic, social and fiscal context for planning and the budget; outlines out the process and criteria for prioritisation, and of reprioritisation for Budget 2018 particularly in the context of fiscal constraints; reviews the priorities in Government spending of Budget 2017; and identifies the key national priorities and mandates for the 2018 Budget. The summary of priorities for 2018/19 were as follows: job creation and small business development; youth development; infrastructure expansion and maintenance; land reform, smallholder farmer and agriculture development; comprehensive social security, education and skills; Integrated plan to fight crime, as well as advancing the national interest in SADC, African Continent, BRICS and Indian Ocean Rim Association. The South African government will in 2017/18 spend approximately R1.5 trillion (about a third of GDP) of which nearly a third is on goods and services. The Budget Mandate process was therefore a very important element of implementing government plans, re-examining focus and previous budget allocations and reprioritisation to ensure socio-economic transformation. Mr D Maynier (DA) asked why he had been denied access to the Mandate Paper on 17 October 2017 on the pretext that the Paper was classified Cabinet record. In terms of the outlined process, the Minister in the Presidency would play a leading role in the budgetary process. There was a worrisome clue that this would essentially make the Minister in the Presidency a de facto Prime Minister and “budget tsar” at the expense of the Minister of Finance who would be effectively reduced to a bookkeeper. He asked Minister Radebe to comment on this. Mr A Lees (DA) said the Minister of Finance seemed nervous during the MTBPS presentation and President Zuma seemed to be quite unhappy. He asked if this had anything to do with the inability by Cabinet to make some really difficult decisions particularly with regards to tax rates. Ms T Tobias (ANC) pointed out that it was immaterial in which Ministry the budget planning mandate lies. What was crucial was proper implementation. She hoped the Mandate Paper would enable people to be more focused. It would also enable the alignment of plans and budget allocations. Was DPME making efforts to strengthen public consultations? She asked about the institutionalisation of planning and the distinction between the previous budgetary process and well as the current involving the Mandate Paper. Ms P Kekana (ANC) said the presentation showed how government plans to integrate various programmes. The challenge was whether DPME was able to follow up on the plans to ensure they are implemented effectively. Was ineffective implementation due to poor planning or lack of capacity? Mr A Shaik-Emam (NFP) said the plans espoused in the Mandate Paper were good and had been availed for many years. However, the challenge was lack of implementation. More importantly, lack of consequences for non-compliance was worrisome. Parliament needed names of people who have been failing repeatedly. Addressing challenges collectively was paramount. Mr Carrim pointed out that planning must come first before budgeting and the Mandate Paper framework was long overdue. He was impressed by the thinking behind coming up with the Mandate Paper. He emphasised the need for Parliament to also exercise its oversight role effectively. 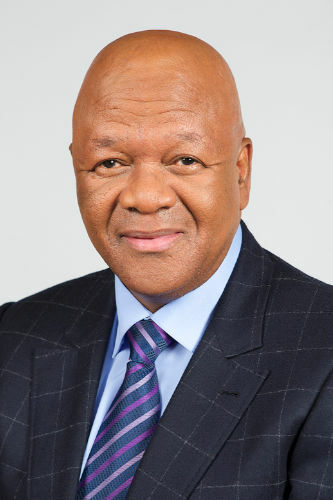 Minister Radebe, in response to Mr Maynier, said it was correct the Paper was only distributed on the day of the meeting. On public consultations, there would be more robust consultations as the Mandate Paper initiative matures. He emphasised the need for sterner consequence management in an effort to ensure effective implementation and performance. Parliament also had a role to play in ensuring that the Executive was accountable for non-performance. Also, institutionalising planning was of paramount importance and Mandate Paper framework was consistent to that. 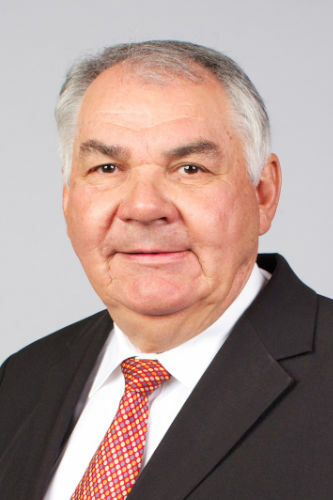 He noted that taxes proposals are normally not dealt with in the MTBPS and the Minister of Finance had nothing to fear as decisions were taken by government collectively. DPME conducted assessments every quarter and posts on its website for stakeholder comments. On relevant legislation, DPME was forging ahead and a draft Bill was on its way to Parliament in an effort to institutionalise planning. Mr Carrim asked the Minister of Finance to give a brief political overview as the MTBPS presentation was cross-cutting and there was no need to take the Committees through the full Statement. 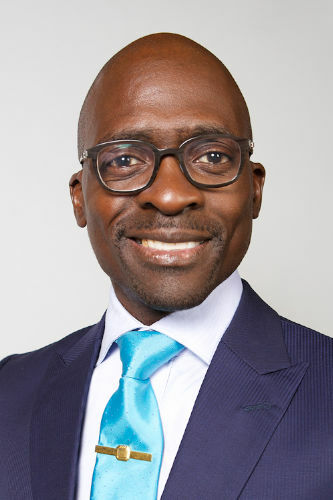 Mr Malusi Gigaba, Minister of Finance, said the MTBPS gave a frank overview on the economic and fiscal outlook in order to ensure that the nation is aware of the challenges that had to be dealt with. Treasury was not moving away from the fiscal consolidation path as economic growth had dampened and there was need for decisive action. The reasons behind the gloomy outlook had to be spelt out clearly and the MTBPS presentation’s main message was that times were tough but the nation had to be tougher than them. Treasury had the unenviable task of delivering the sombre and candid message on the state of the economy and it did just that. Mr Dondo Mogajane, Director-General, National Treasury, said tough times require tough decisions, and Treasury was committed to making them. Radical economic transformation was also required to change the economy to include all South Africans. South Africa's budget is progressive and redistributive, and makes large contributions to transformation and growth, yet the pressures on the public finances were mounting, and there are a series of risks that must be managed. This would require difficult trade-offs and compromises. However, government remained committed to a path of fiscal consolidation. It will maintain the expenditure ceiling over the medium term, and a presidential task team will develop proposals to restore fiscal sustainability. The only sustainable solution for South Africa’s development and the health of public finances was to grow the economy inclusively. Economic growth was expected to be 0.7% this year (2017), recovering slowly to reach 1.9% by 2020. Inflation outlook had been revised down, and the recovery in growth depends on improved investment outlook and rising exports. Mr Mogajane identified risks to the expenditure outlook. Several state-owned companies persistently demonstrate operational inefficiencies, poor procurement practices, weak corporate governance and failures to abide by fiduciary obligations. Also, a new civil service wage agreement in which salary increases exceed CPI inflation, and without headcount reductions, would render the current expenditure limits difficult to achieve. Additional spending commitments may emerge from policy processes under way as government is evaluating the implications of providing fee-free higher education and training to poor and middle-income students. Other policy commitments include the National Health Insurance, proposals in the Defence Review, improved early childhood development, accelerated land reform and several large infrastructure project proposals. In conclusion, to anchor a sustainable budget, structural increases in expenditure must be matched by structural increases in revenue. The expenditure ceiling could only be adjusted to accommodate new spending priorities when a permanent source of revenue was found to offset increased spending. 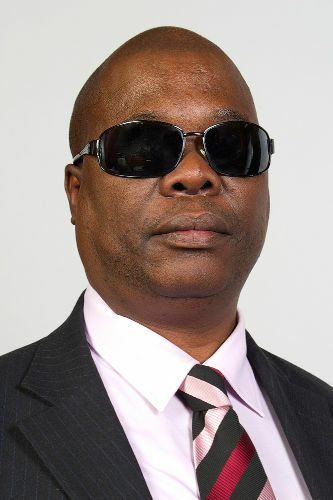 Mr Maynier said government was now paralysed as the governing party was heading to its elective conference in December. Hard decisions had been delayed until 2018 and would be taken after the ANC conference. He asked if the Minister believed that Treasury’s analysis was flawed and a fundamental shift in policy was what was required. It was time to confront realities and there was need for a fundamental policy shift. He noted government’s inability to contain costs. Hence, a full scale comprehensive review of government expenditure was needed as a means to address the challenge. He asked about the composition of the Presidential Budget Committee. Also, there was an indication that at least four Ministers had purchased new vehicles at a cost of R6.5 million. This symbolised government’s inability to contain costs. Was it not time to conduct a full scale expenditure review as per the opposition’s proposal? Ms B Bozzoli (DA) said higher and tertiary education was an area of huge policy uncertainty with the ongoing protests in various campuses across the country. She asked if the Minister had read the Fees Commission report. What was the expected level of funding that would be required? Mr F Essak (DA) wanted to know if the under-collection of tax could be ascribed to a "wholesale underperformance" by SARS Commissioner Tom Moyane. What was the Minister doing about this? 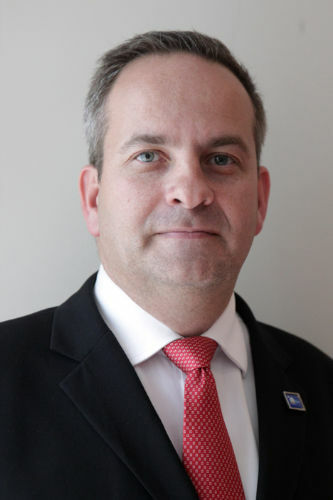 Mr O Terblanche (DA) said Minister Gigaba had missed an opportunity to offer a glimmer of hope to the country. The MTBPS presentation was all doom and gloom. There was no indication about how the economy would grow. Ms Tobias acknowledged that the MTBPS presentation emphasised the need to find alternative revenue funding. She urged the Minister to expand on that as a means of instilling confidence in the economy. There had to be an emphasis on infrastructure underspend and there was need for a policy statement to that effect. She asked for an indication on the expected revenue yield from Health Promotions Levy (HPL)? Also, what was the structure of the stimulus package that would be part of the inclusive growth thrust? Mr T Motlashuping (ANC) expressed appreciation of the MTBPS presentation. Economic challenges were not unique to South Africa. Initiatives such as the youth employment service and empowerment programs had to be applauded. He pointed out the need to expedite the redistribution of land. Also, illicit financial flows had to be dealt with decisively as they were prejudicing the country of huge amounts of money. Ms Kekana welcomed the Minister’s candidness during the MTBPS presentation and the stance taken on SOEs. It should no longer be business as usual. She appealed for full implementation of all the plans and emphasised the need to clear the air on various issues as a means of restoring confidence. She asked if the BRICS bank and the Development Bank of Southern Africa were assisting in infrastructural development especially in rural areas. Mr Lees sought clarity on the selling of Telkom shares. What was the value of those shares and who was going to buy them? It seemed strange that someone would be prepared to buy the shares in an expectation that government would buy them back. Also, plans for private equity for SAA seemed to be somewhat remote given the situation the airline was in. He asked for some reassurance that there would not be fake privatisation using Public Investment Corporation funds to meet the private equity partner commitment. What were the real reasons of clinging to SAA despite the challenges? Mr De Beer appreciated the positions taken in the MTBPS. The need to reignite economic growth was very clear. He emphasised the need for a robust action plan to reignite economic performance and for expenditure saving. He asked Minister Gigaba if there were any intentions to deal with tax collection. Mr Carrim said outlined plans were good but the real test was what action would be taken on the ground; government must improve its productivity and decisiveness. Minister Gigaba had hit the nail on the head and would be taken to account. He urged Treasury to bring the identified stringent conditions in dealing with SAA to Parliament and into the public domain. Figures on illicit flows were horrific, and more than ever, action was needed. He urged Members to offer concrete proposals rather than asking the same questions over and over. He expressed Parliament’s concern about the fact that the South African Revenue Service (SARS) has not produced its annual report yet. It was very bad and Members read in the media that SARS was taking the Auditor-General (AG) to court. Parliament had the right to know. Minister Gigaba had to look into the challenges at SARS. Minister Gigaba, confirmed that it was indeed the case that SARS had taken the AG to court. He acknowledged that there are challenges with the SARS annual report and that officials told him the reasons for the delay. SARS failed to resolve the matter (the difference of opinion) with the AG and they had to seek a resolution through a court process. He added that Treasury will engage with the AG, since more and more departments have recently started disputing his audit opinions. He accepted the proposals around addressing the issues around SARS. He was engaging with them seriously so the administration issues can be dealt with. Mr B Topham (DA) commented that government was not doing enough to bring about political certainty- nobody would want to invest money in an uncertain environment. Government had to look into swiftly responding to radical statements by various extremist groupings to reassure economic agents. He also weighed in on the tax revenue shortfall. There seemed to be "a lot more" to the R50.8bn under-collection of tax. There may be a rolling of payment and collection. He suggested Minister Gigaba do a performance appraisal for senior SARS officials and see if they had reported truthfully. Ms Tobias asked about the structure of corporate tax. She noted that smaller firms actually pay more tax as opposed to bigger firms. She asked if there were changes in the corporate tax to address such an anomaly. Minister Gigaba replied that government is not paralysed and such a perception ought not to be entertained. To suggest that hard decisions were being postponed to post ANC conference was unfounded. He noted that the forecasted budget shortfall had to be found through means that would not debilitate the economy. The fiscal committee was considering various proposals and would submit its proposals to Cabinet for consideration in the 2018 budget statement. The scale and pace of structural reforms had to be expedited to boost confidence in the economy that would in turn stimulate the economy. This would require austerity measures and tough decisions. Without action, national debt would reach 60% of GDP by 2022. He indicated that fiscal consolidation had not been abandoned as it was not policy but a path to addressing the economic challenges. Budget is an important economic lever to ensure economic growth. On cost containment measures, it would be wrong to argue that they had failed. Treasury had made significant inroads and was making efforts towards more. The Fees Commission report was still being considered by Cabinet and any pronouncements by Treasury would be made in the 2018 budget statement. On comments that the MTBPS presentation was all doom and gloom, Treasury would not do a “Comical Ali” on the nation and say all was well when it was not. The situation had to be told as it is to induce the nation into taking all the necessary steps to ensure economic growth. $1. 5 billion had been allocated by BRICS. Subsequently, a project pipeline was being developed to be submitted to the BRICS bank. Also, the Post Bank license should be finalised soon as SARB was in the process of completing it. There was ongoing work on curbing illicit financial flows by relevant stakeholders and the big task was to ensure law enforcement agents play their part. Also, Treasury was having engagements with the ratings agencies as well as investors rather than only waiting on them to assess the situation on the basis of the MTBPS. Mr Carrim indicated that this was the first tranche of a series of engagements. He welcomed the emphasis on growth and transformation and stated that it had to particularly benefit the poor and disadvantaged. The Director-General would respond to the rest of the questions at the next appearance due to time constraints.